GDPR and What You Need to Know! GDPR (General Data Protection Regulation) introduces a set of privacy regulations, which expand the individual rights and protections of EU personal data, how it is handled, stored, etc. GDPR applies to organizations established in the EU that process personal data. It also applies to organizations outside of the EU that provide goods or services to individuals in the EU, or monitor the data of these in the EU. If your company touches any EU-based individual’s data, then you need to have proper protection and data management in place. It does not matter if that individual is in the EU at the time of them using your website or services. Every company should consult with their legal teams to know if they need to be GDPR compliant. However, the general rules above can get you started and it’s likely that you are affected in some way. If your company touches any EU-based individual’s data, then you need to have proper protection and data management in place. It does not matter if that individual is in the EU at the time of them using your website or services. 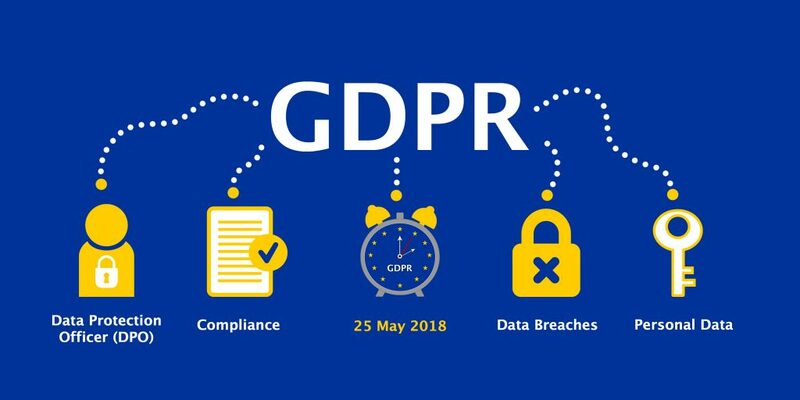 The new GDPR regulation goes into effect on May 25, 2018. Does GDPR just apply to my website? Not necessarily. If you process EU data via any of your other business systems, they will need to comply as well. You will need to confer with your legal counsel to be sure, as BCS Engineering cannot provide you with legal advice. We encourage you to review all services and contracts connected to third-party companies with your legal counsel, in order to confirm GDPR compliance. Can BCS Engineering help with GDPR? Yes, absolutely! BCS Engineering is fully capable of helping you with your GDPR Compliance. We can implement and analyze your applications to help you achieve compliance & assist you with any other issues that you might have regarding GDPR. We are offering a 4 hour consult which includes a phone consultation to understand your business processes. We will then use that information to look into your site and propose changes that we recognize & provide a time estimate to achieve those changes. If there is time remaining in the 4 hour consult after completing the above tasks, we will use that remaining time to start implementing the changes that we identify. Contact us for a quote to help you with your specific needs! Please refer to the European Commission’s Website. This entry was posted in Ecommerce on April 25, 2018 by Carrie Saunders.